Zumba has taken hold of the world of fitness with over 14M people taking a weekly class in over 140,000 locations across more than 150 countries - it makes squatting and stomach crunching fun. Why? because you are literally doing all of these, whilst you're dancing to high energy music, that's inspired by samba, salsa, soca, merengue, mambo, bollywood, belly dance, flamenco, hip-hop and reggae. The reasons for its success, is not only that it's a fun way to workout (anyone can give it a go, it doesn't matter if you can dance, or what age you are) but also because of the many charities worldwide that have benefited from money raised from Zumbathon's! A Zumbathon can have anywhere from 50 to 1000's dancers, all dancing whilst raising money for good causes. Watford is yet to be hit 'in mass' by Zumba but this does not mean Zumba is not here - far from it! There are over 30 registered Zumba Instructors in Watford, who run over 90 classes at gyms, leisure centres, school and church halls. Watford's biggest Zumbathon is being organised by six Watford women and six energetic Zumba Instructors, who have taken their love for dancing and are bringing it to the people of Watford to raise money for Watford's Women Centre, ASCEND, Herts MIND Network, West Watford Community Association, Watford Samaritans and Watford Social Centre for the Blind - all charities close to the women's hearts, charities that offer a wide range of support services to our community. 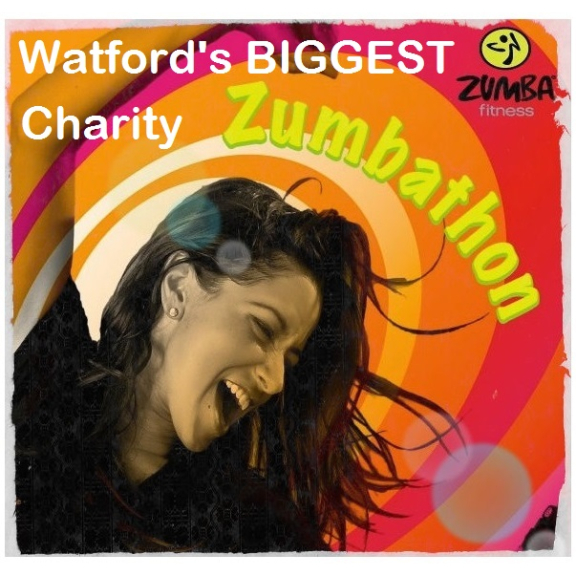 The idea for Watford's Biggest Ever Zumbathon came to Juliette Sibson, the founder, less than 3 months ago, whilst in one of her weekly classes with Grace West, the lead Instructor. This is an event for everyone, its not a requirement to have done Zumba before, however it is important, that everyone has fun! The event will also have stalls, carribean food, a juice bar and a bouncy castle.